If your kids have shown interest in interior design or if they just need some creative fun we just know they are going to love these design your own room coloring sheets and activities for kids. 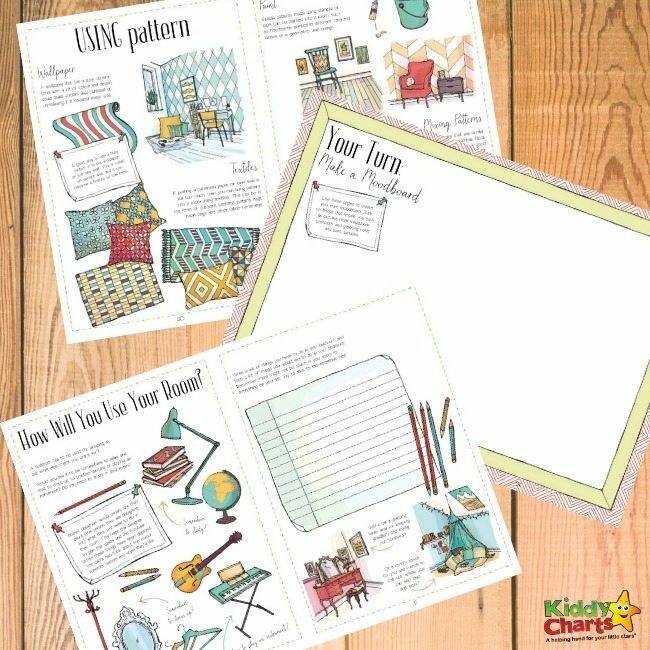 We really do love to encourage kids to pursue their passions here at KiddyCharts and these activity sheets are perfect for just that. 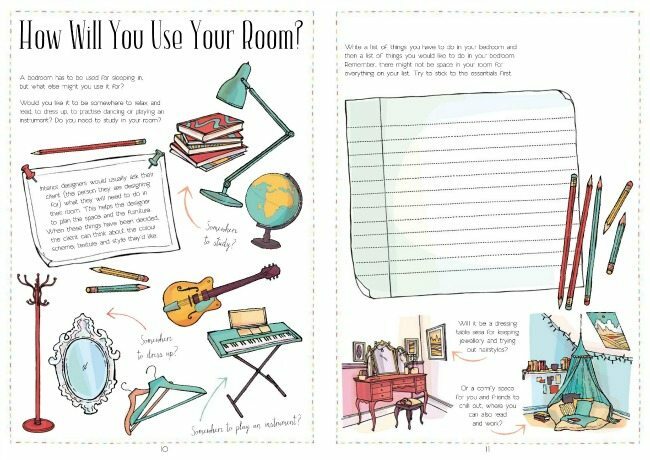 It sure takes a whole lot of skill and creativity to design the perfect room and My Beautiful Room book book will teach you how to do it. We are really excited to be sharing 3 activity sheets from the said book with you and we are sure your kids will have a whole lot of fun with them. From learning about colour and texture to decorating furniture, deciding what goes where in the room, developing your own patterns and building your own individual style, this amazing workbook is a fantastically fun introduction to the essential principles of design. Ready to try it out? 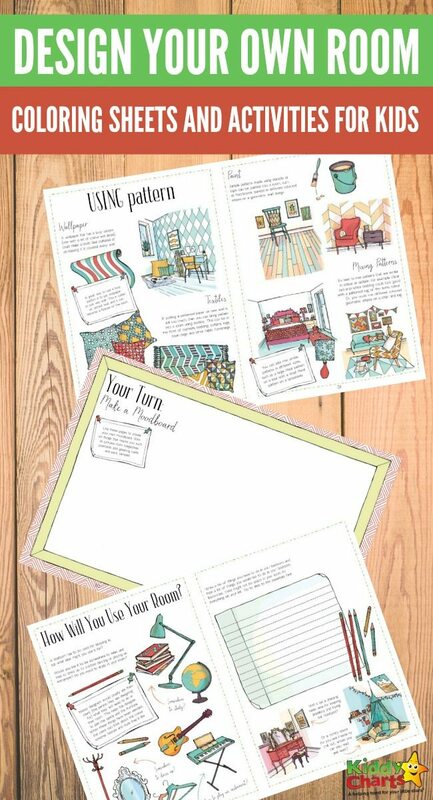 Print these 3 pages from the workbook and have fun designing. How will You Use Your Room? Every good designer needs to first ask themselves what the room they are decoration will be used for? Think carefully and plan this out with the help of this activity sheet. Wonderful patterns make all the difference! But if they are not choose carefully they can also be a disaster. Think about different patterns and how they will work with one another. Also don’t forget about the colours you will use. This printable guide will be of great help. This is our favourite activity sheet of the three. It’s the place to put your inspirations on. We all get inspired by many things, maybe you saw a wonderful picture in your favorite magazine. Or snapped a photo with a phone of something that caught your attention. Was it a quote you overheard someone say? Write it down! Print it out and stick it on. Cut it out and glue it to the motherboard. Little bits of inspiration will paint a wonderful picture. Learn all the tricks and tips of interior design from a stylish designer-illustrator duo behind this book. Everybody wants an amazing bedroom to call their own, but it takes a lot of skill to design the perfect room and this book will teach you how to do it! 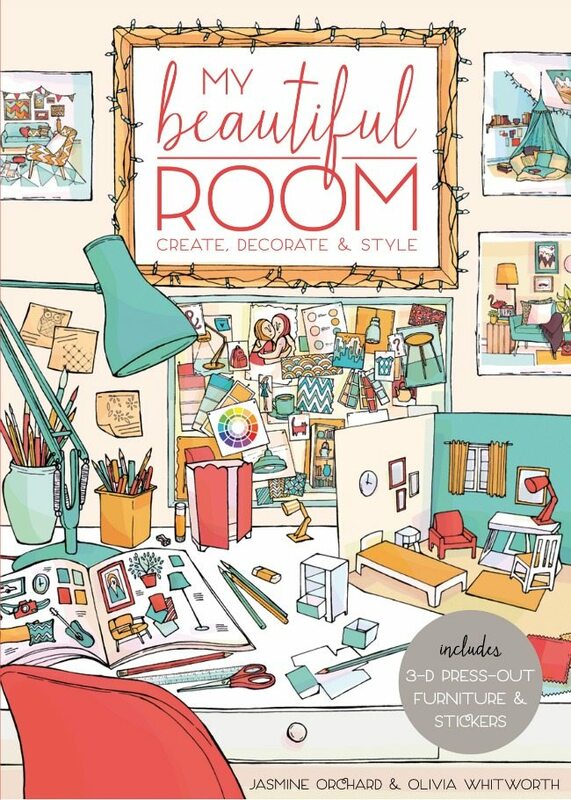 My Beautiful Room guides you through basic interior design theory, and helps you apply your new-found skills with original drawing challenges and super fun activities, including devising mood boards and creating floor plans. Then create a model of a stunning bedroom by drawing, colouring, decorating and cutting-out furnishings to arrange on a stage-set style backdrop, creating a dream room model. It’s a wonderful book for all ages. You should also check and follow us on Pinterest. We have quite a lot of awesome free printables and printable activities so you can keep your kids busy for hours and hours and sign up too, so that you don’t miss out on the other great ideas that we have for you. I’m looking for a way for my 8 year old to create her new room in our new house. She’s having a hard time with the change. We are moving on the 29th of this month. I love your idea above with the 3D room.